Since the theme of the con was age of industry I thought I do a few my characters dressed up in steampunk attire. This might also might be most clothes Estrid ever worn, lol. oh that's a interesting outfit there I like it. Thanks, for a lot steampunk I shifted through several references. Taking one for the pose, and a few others for the outfits. Agree, I think she would have a lot fun. Well that is just plain adorable. It has, glad I was able to fix that! oh noes, anyway to fix that? its loosely base on one I found on google, so it might be possible. 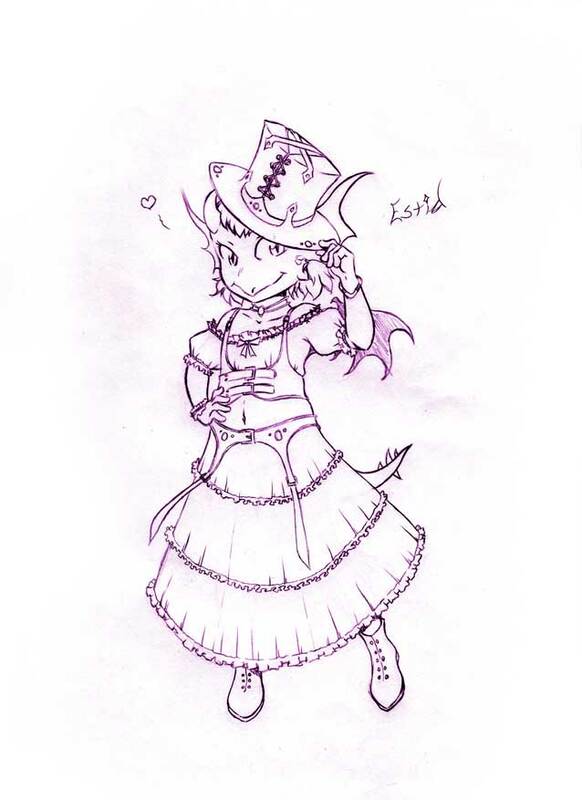 Cute Steam Punk Estrid is very Steampunk Cute! That cutie is back, so glad.